Uzumasa Eiga-mura - Here, we update the latest information from Japan!! 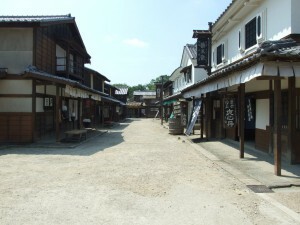 You can have so much fun in the village with various experiences, such as ‘Karakuri Ninja Yashiki’ (A ninja house full of tricks), ‘Haunted House’ and even disguising ninja or samurai, walking around the village and getting your disguised picture taken too! Now that ninja or samurai are so popular around the world, we’re sure that you’ll enjoy there, having new and amazing experiences! Here’s the formal homepage of Uzumasa Eiga-mura. 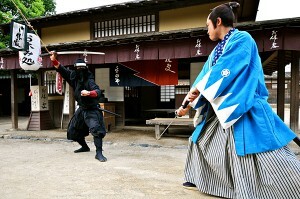 Why don’t you visit here when you come to Japan?